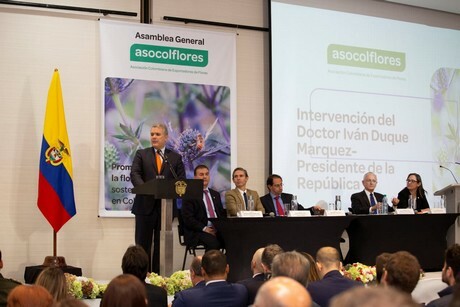 The 46th General Assembly of Asocolflores, held on April 3, 2019, not only gathered a significant number of flower exporters, key agents of the floriculture value chain, ministers, and government advisers, but also Dr. Ivan Duque, President of the Republic of Colombia. 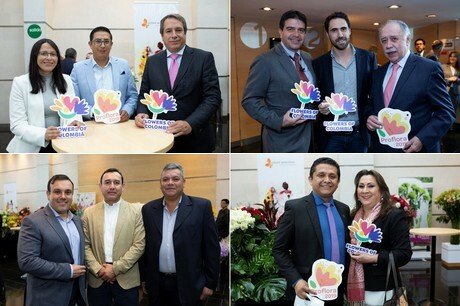 His presence afforded the association a valuable opportunity to relate the needs and concerns of Colombian floriculture. 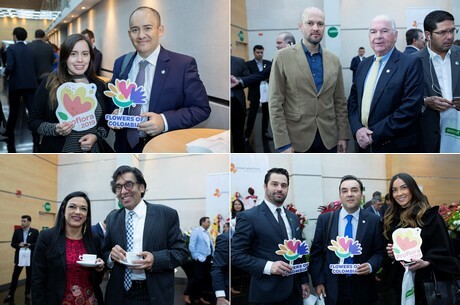 The event also acknowledged the achievements of the past year: exports of Colombian floriculture reached an all-time high in terms of both value and tonnage (close to 1,500 million dollars and 260,000 tons), and generated approximately 140,000 formal jobs. It took just 7,700 hectares of nurseries to produce these figures. 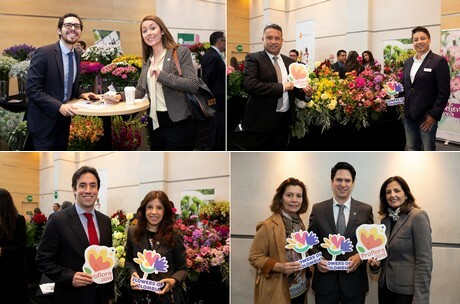 In fact, floriculture generates far more employment per hectare than any other sector (14 jobs) while flowers bring the highest returns per ton exported of any agricultural product ($ 5,600). So, Colombia today serves as an example to many countries in this regard. 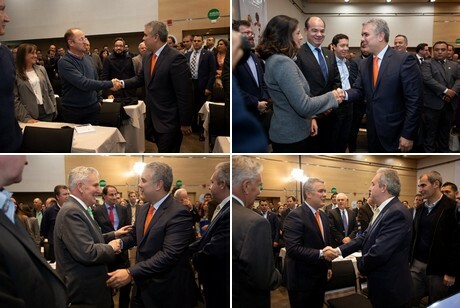 In this context, one of the most outstanding moments during the assembly was the Employer Mark Recognition granted by President Duque to one of the members of Asocolflores, who, accompanied by a worker, received the award that accredits his company as the best place to work. 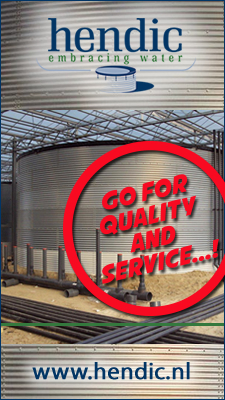 Watch the video below in which some of the work days are shown. 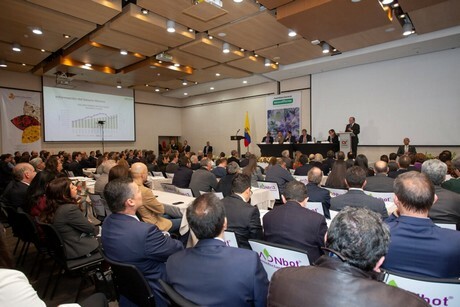 The event also touched upon corporate responsibility within floricultural, namely the Florverde certification, which is the clearest example of the socio-environmental commitment that for more than 23 years has been the guarantor that companies hold themselves to the highest socio-environmental standards. 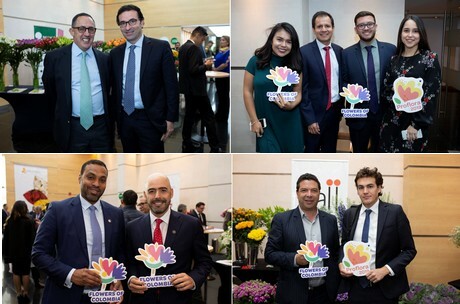 Event attendees asked the president to eliminate obstacles that affect competitiveness and inhibit the sector’s ability to promote its products, as well as create more tools and competitive conditions to continue developing floriculture, especially given that it improves the lives of thousands of Colombians and improves Colombia’s image in more than 100 foreign countries. 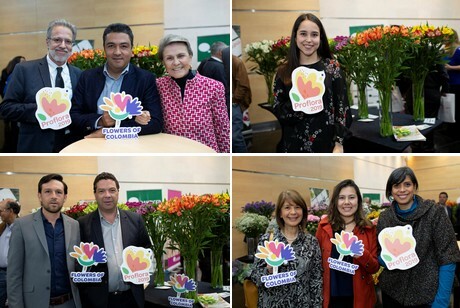 President Duque ratified the support of his government in order to help a sector that works to strengthen sustainable floriculture in Colombia. 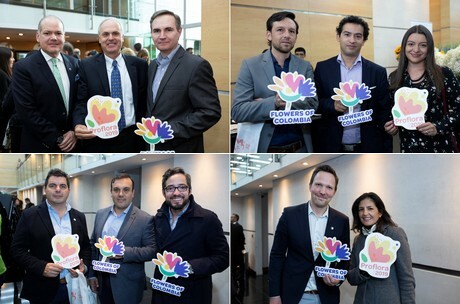 He emphasized that the Colombian flower industry is undoubtedly one of the most outstanding in the country and is an ambassador of the talent and work of its people. That's how, once again, Asocolflores summed up the goals the association has achieved as well as the challenges on which it is working. 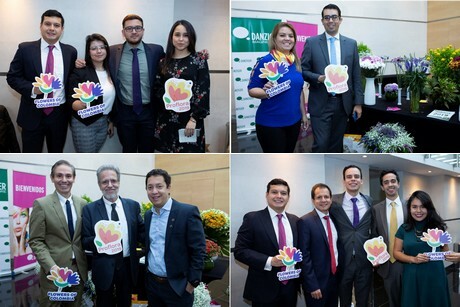 Above all, it highlighted the role that floriculture plays within the country’s agricultural sector and reiterated Asocolflores’s commitment to continuing to promote sustainable floriculture in Colombia so our flowers can keep supporting wellbeing and inspiring experiences. 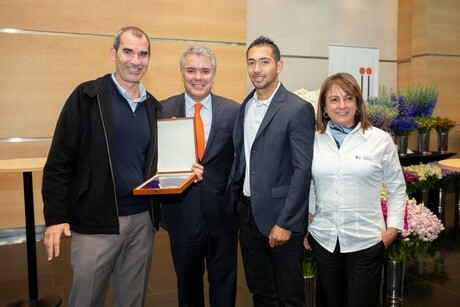 President Duque with the team of Flores el Trigal.